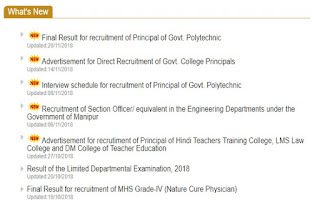 Manipur Public Service Commission published the upcoming examination, answer keys, results of examinations details at MPSC What's New page in mpscmanipur.gov.in. People from Manipur or All over india who are interested to know the details Manipur PSC let's check from here. 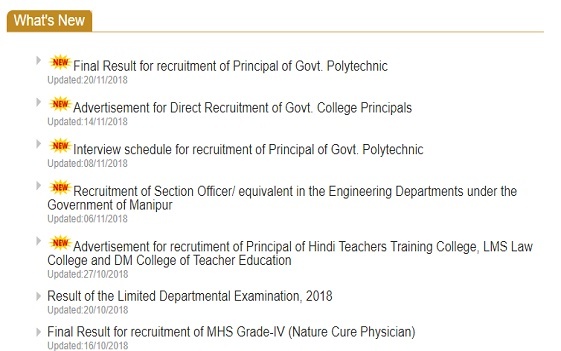 Through this MPSC What's New page we are informed to the aspirants daily news of MPSC regarding examinations, results and much more.